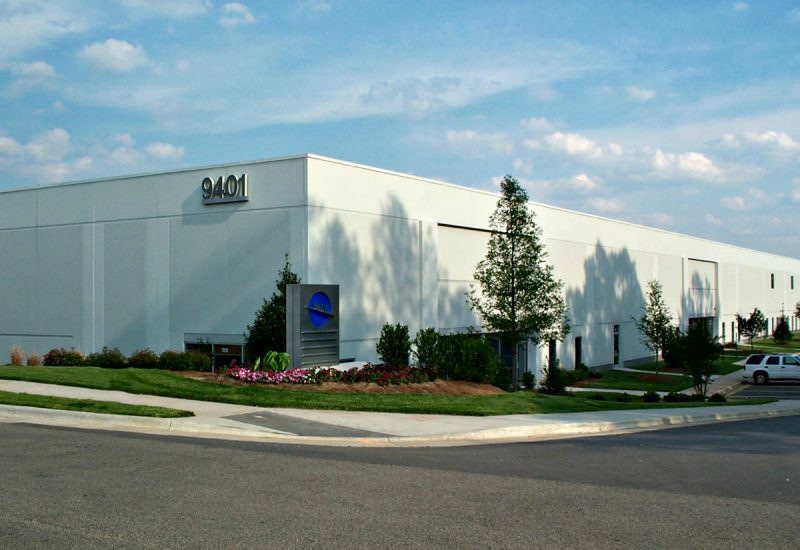 This complex of eight buildings totals 847,000 sf and was designed to provide cost-efficient industrial / distribution capabilities in a park-like setting, with easy highway access. The buildings are typically 200 feet deep with footprints varying from 84,000 sf to 117,000 sf. Buildings feature 24-foot clear heights, ESFR sprinkler systems, and steel frame with precast exterior wall panels. Curtainwall elements highlight the main entrances, and truck courts are located behind the buildings, screened from public view. Landscaping is emphasized to reinforce the quality office park image.